SSE was founded in 1909 by leading members of the Swedish business community, and the school has maintained close ties with the business community ever since. Some of the world’s leading companies such as H&M, Ericsson, ABB and Scania are all Corporate Partners of SSE. The close relationship with the business community guarantees that our research and what we teach remain current and relevant. All our programs are founded on internationally recognized research, and we are proud that currently three of our very own professors are members of the Committee for the Nobel Prize in Economic Sciences. SSE is also grateful for the opportunity to host the Economics Nobel Laureates, as a tradition, every year in December to share and discuss their research with our students. 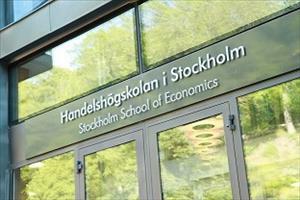 Fill out your details to get in touch with Stockholm School of Economics and find out more about their programs.